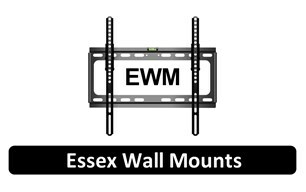 Essex Wall Mounts are an independent family run company installing TV's and audio systems since 1998 for the home, workplace, office, and schools. Installing for household names such as Stellisons, Comet, Sony Centre, Richer Sounds, Corporate companies such as Turner Broadcasting(Cartoon Network), BBC, Channel 5, ITV and Essex County Council. Public places such as Stock Brook Manor, Shima Indian Restaurant Leigh Broadway and the Nawab in SWF and residential homes in and around Essex. All work is carried out by Paul who is dedicated to his work to the point of obsession ensuring that you get the perfect installation.